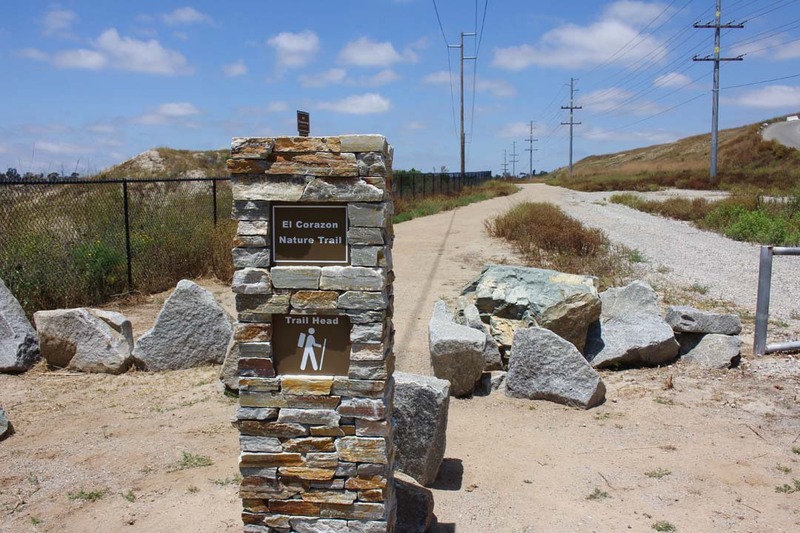 OCEANSIDE — The El Corazon Park Nature Trail is now open for hikers and joggers. The wide dirt trail is a quiet oasis from the surrounding city, and a glimpse of what the rest of the 465-acre park will reflect when it is developed. It provides views of native plants and more than 33 bird species. Joan Bockman, Friends of El Corazon volunteer, said the trail offers hikers some unique surprises. “It’s neat because the beginning of the trail doesn’t tell you what’s further down the trail,” Bockman said. The fence marked trail begins with views of wildflowers and coastal sage scrub. After you hike around the first turn and get closer to Garrison Creek, you see lusher and greener riparian vegetation. The trail continues to follow the creek, and ends after a mile. Adjacent rock and concrete crushing operations can also be seen. The trail shares an entrance with Moody’s Reclamation and El Corazon Compost Facility off of Oceanside Boulevard. Trail parking is immediately to the left of the entrance, and the trailhead is marked with a stacked stone column. A second trail on the opposite end of El Corazon Park, by the senior center and soccer fields, is also open. The edge of the half-mile View Trail is marked with 500-pound boulders, from Moody’s Reclamation. The sizable rocks mimic a streambed, and add a buffer between walkers and the soccer fields. The trail provides panoramic ocean views, and is walking distance from the senior center. Bockman said senior walking groups use the View Trail daily. Future plans are to connect the two trails, and add another 8-plus miles of trails throughout the park. Native plants, benches and information kiosks will eventually be added to the trail network. A ribbon cutting ceremony, attended by Friends of El Corazon members, city officials and guests, was held in late April to celebrate opening the Nature Trail. Friends of El Corazon members have anticipated the trail opening since the El Corazon Specific Plan was adopted. The stewardship group serves as watchdogs to ensure the park is developed in accordance with the plan’s vision. 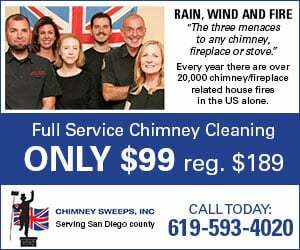 “We have been looking forward to this day for a very long time,” Nygaard said. The Nature Trail is the first permanent facility to be developed on the park site. Temporary soccer fields will have a different final layout when they are made permanent. The on site senior center was built before park plans were completed. The trails are open to the public Monday through Friday from 7:30 a.m. to 5 p.m., and Saturday from 8 a.m. to 4 p.m.